(En) The idea of a single European sky has been on the agenda since 1960 when Eurocontrol was formed to create a single airspace for the union’s six founding member states. Forecasters predict that air traffic will double by 2020. Current systems will manage the growth until the middle of the next decade. Following that radical measures are required to prevent severe congestion. As it stands there are 27 airspaces and 50 control centres. 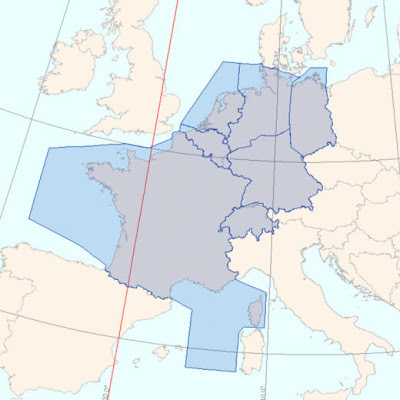 In 2012 the SES will come into force with the union of the airspace of France, Germany, Switzerland, Belgium, the Netherlands and Luxembourg. The French air traffic unions believe the formation of the SES will result in the loss of public sector jobs. 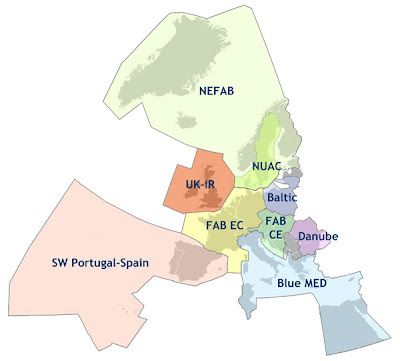 The EU backs the plan designed to restructure European airspace based on traffic flow, rather than national borders, increased capacity and the overall efficiency of European air traffic control. (Pt) A idéia de um céu único europeu tem sido na ordem do dia desde 1960, quando Eurocontrol foi formada para criar um espaço único para a união de seis Estados-membros fundadores. Prevêem que o tráfego aéreo vai dobrar até 2020. Os sistemas atuais irão gerenciar o crescimento até meados da próxima década. Na sequência de medidas radicais que são necessários para evitar o congestionamento grave. Como ele está há 27 espaços aéreos e 50 centros de controle. 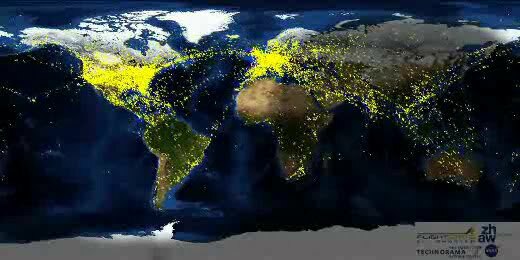 Em 2012, a SES irá entrar em vigor com a união do espaço aéreo da França, Alemanha, Suíça, Bélgica, Holanda e Luxemburgo. Os sindicatos franceses tráfego aéreo acreditam que a formação da SES irá resultar na perda de empregos no setor público. A UE apoia o plano destinado a reestruturar o espaço aéreo europeu com base no fluxo de tráfego e não das fronteiras nacionais, o aumento da capacidade e da eficiência global do controlo aéreo europeu. Single Sky project - projecto "Céu Único"